In 2018, we celebrated the 10 th anniversary of Brains Eden and it was our biggest event to date with 180 students making brilliant games around the theme of “unreliable”. Places for Brains Eden 2019 are limited, so register your place now! Attendees will hear inspirational talks from some of the world's leading technology companies, offering advice and guidance about the games industry along with their own personal experiences. 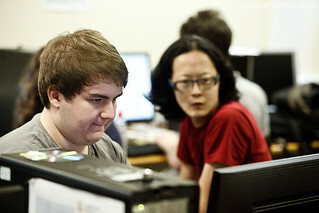 A wide range of game studios arrange for members of staff to speak with students, answering any questions they have about the industry and providing career advice in each discipline.